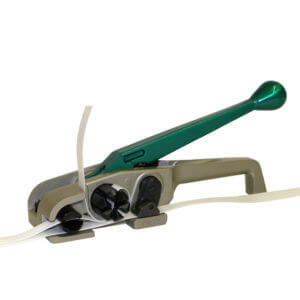 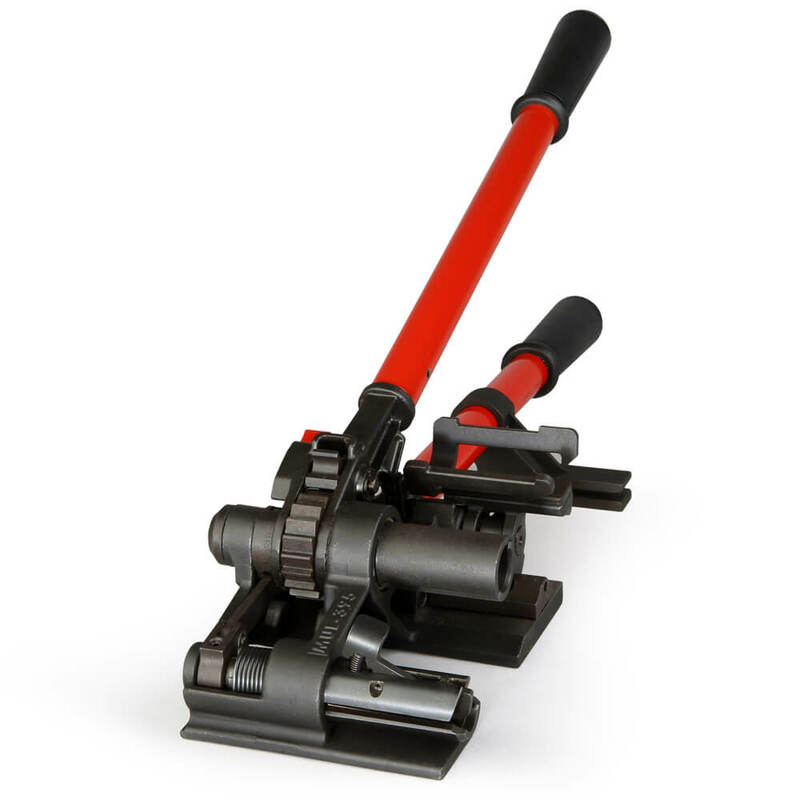 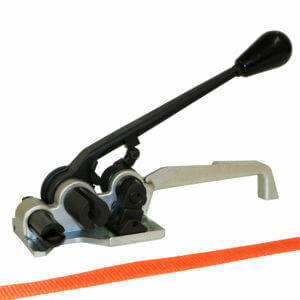 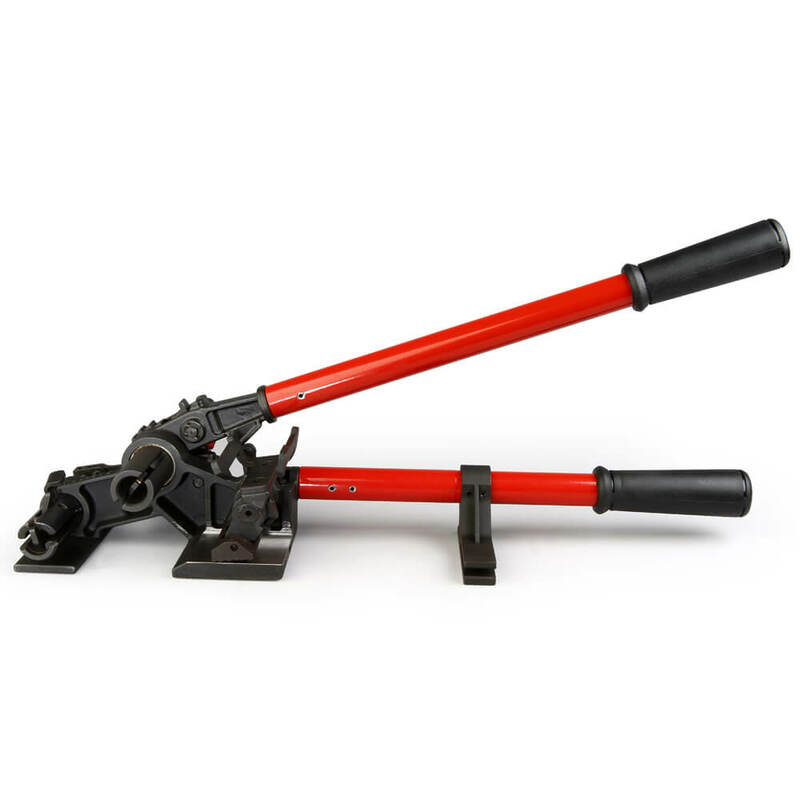 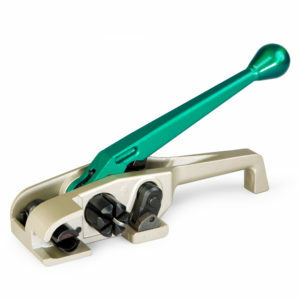 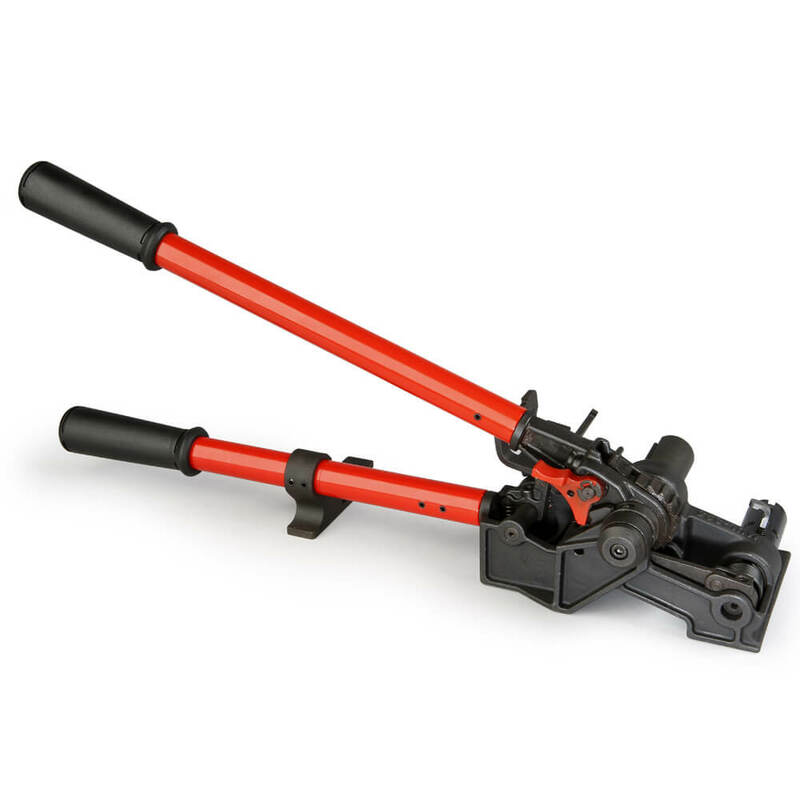 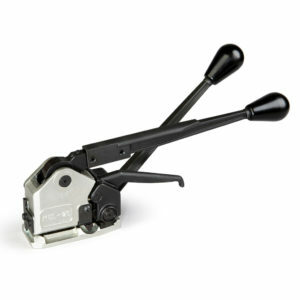 Only manual lashing tensioner on the market capable of pulling over 2,000 lbs of tension. 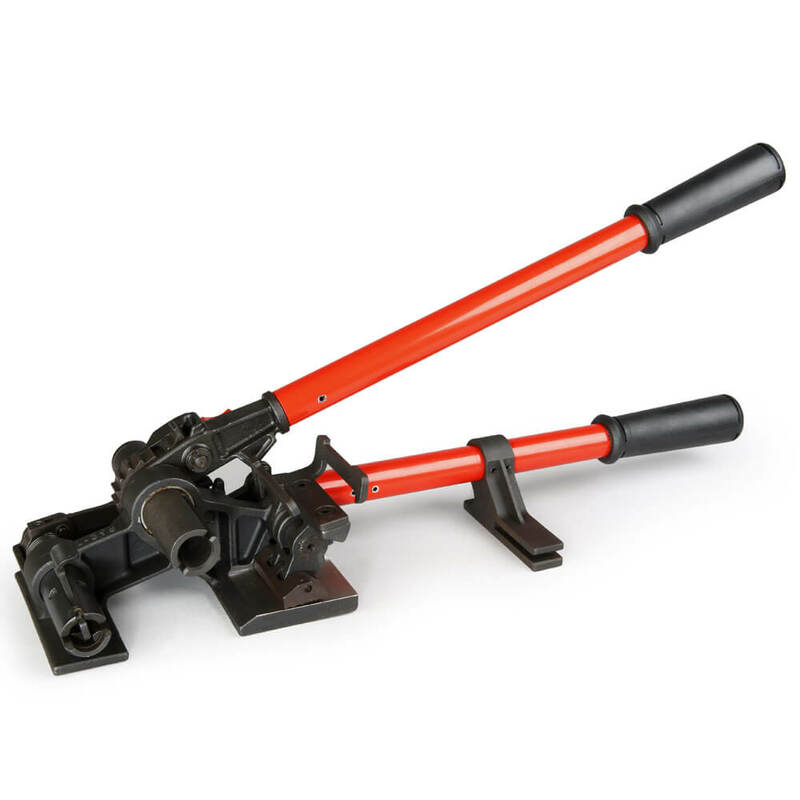 Heavy duty gripper allows for application of high tension and greater holding power. 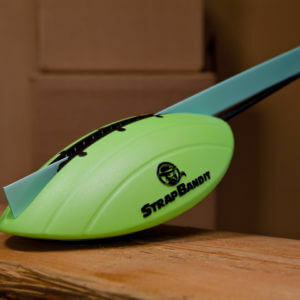 Unique support design allows operation on hanging strap. 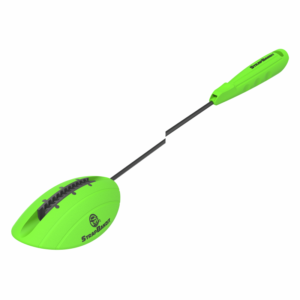 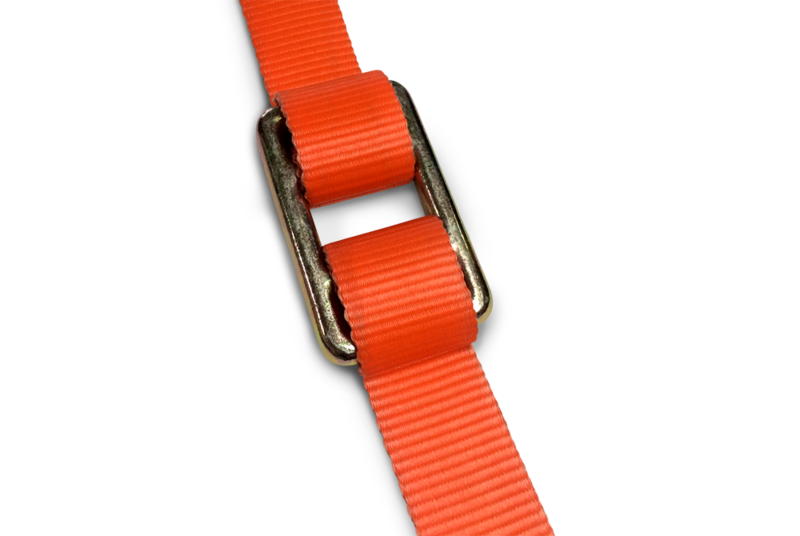 Patented cutter design with greater performance on all lashing straps.